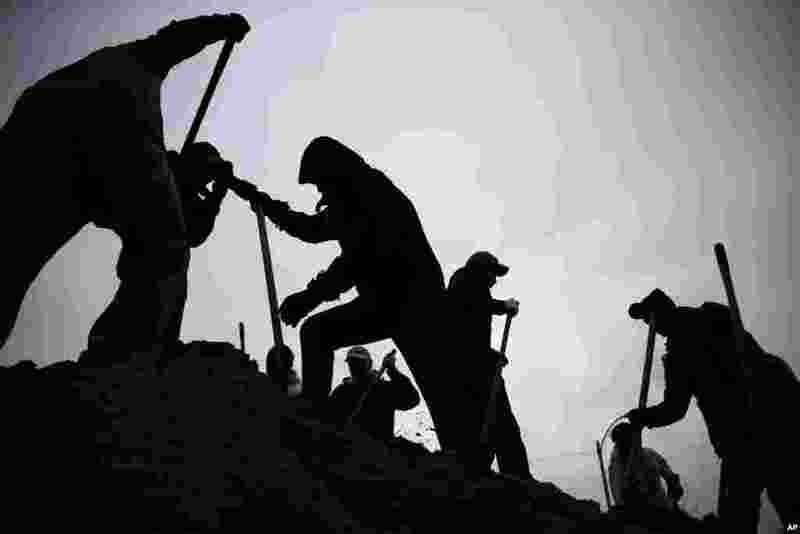 1 Against a gray winter sky, volunteers use shovels atop a pile of sand as they help fill sandbags in St. Louis, Missouri, USA. 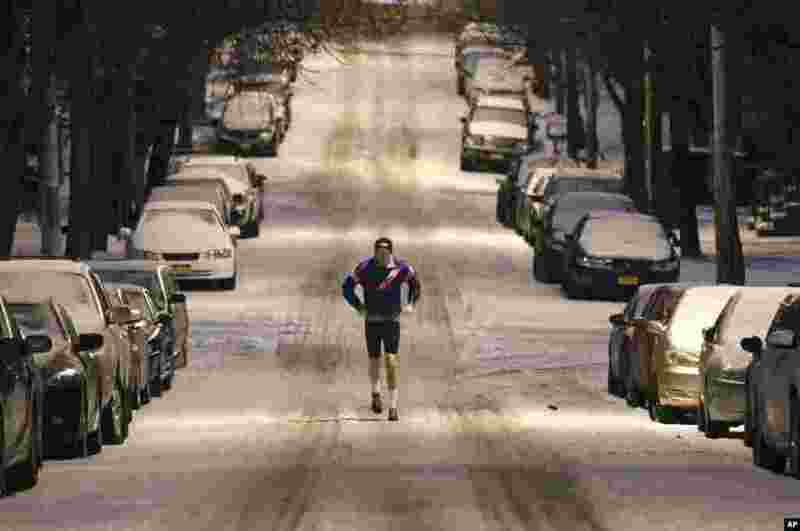 2 A jogger makes his way along a snow-covered street in the Hudson Park neighborhood in Albany, New York. 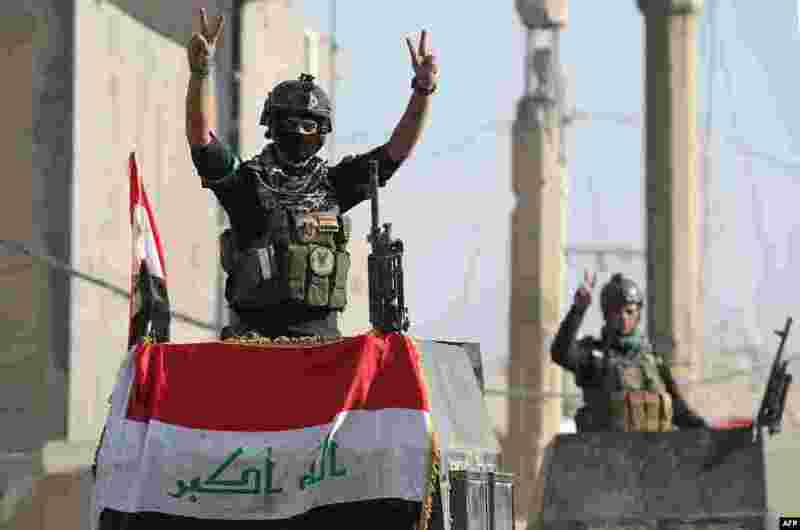 3 Members of Iraq's elite counterterrorism service flash the "V" for victory sign in the city of Ramadi, the capital of Iraq's Anbar province, about 110 kilometers west of Baghdad, after recapturing it from the Islamic State jihadist group. 4 Taliban militants (R), who were arrested by Afghan border police, stand during a presentation of seized weapons and equipment to the media in Jalalabad.